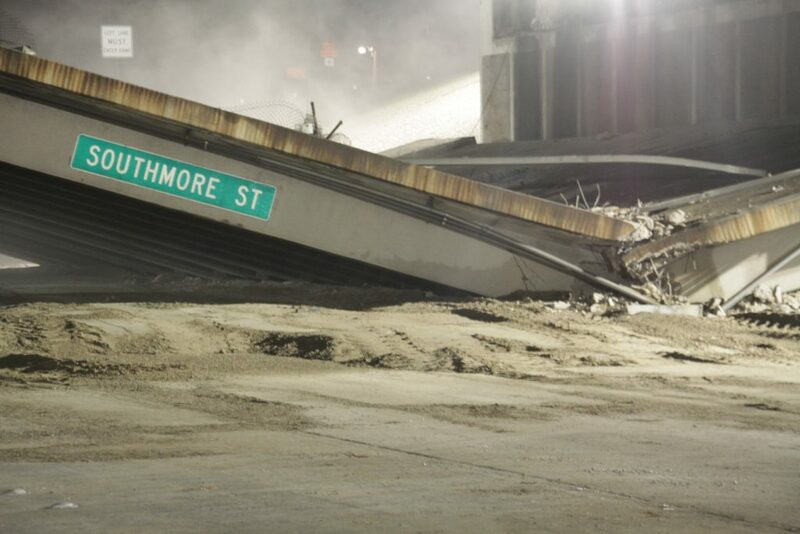 Houston, Texas, 2018 – Where the Southmore St bridge once stood, is now open highway. 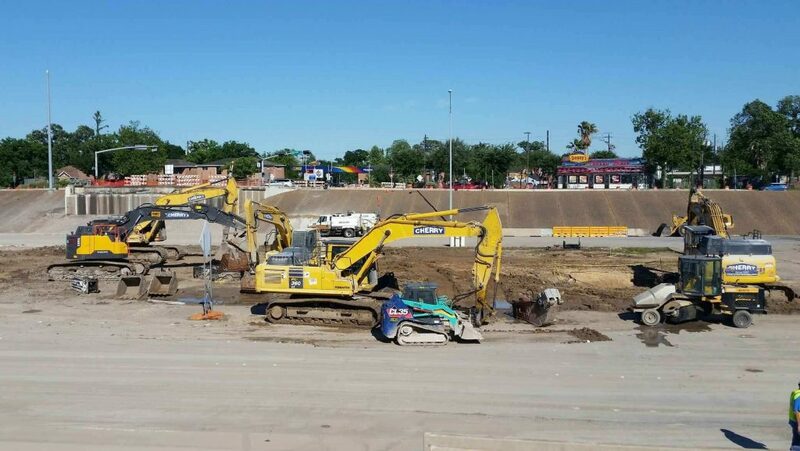 Over the weekend, Cherry Companies demolished the bridge as part of the on-going SH 288 expansion designed to improve operational efficiencies along a 10.3-mile stretch within the SH 288 median (from the SH 288/U.S. Route 59 interchange to south of the Sam Houston Tollway). 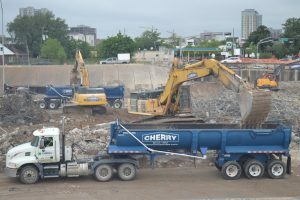 Cherry has been involved with the expansion project since 2016 partnering with Almeda-Genoa Constructors (A-GC), a fully-integrated joint venture between Dragados USA Inc., Pulice Construction Inc., and Shikun & Binui Concessions USA Inc. Cherry has been a part of the SH 288 road removal as well as providing recycled aggregates and stabilized materials for the road base. 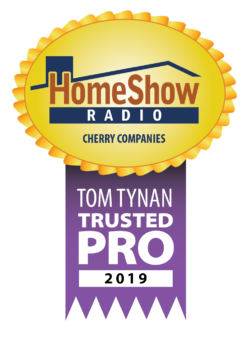 “This was a cross-divisional team effort involving Cherry personnel from Road Removal, Commercial Demolition, Safety, Transportation and our Crushed Concrete Divisions. It was a pleasure to partner with A-GC and it was smooth sailing for the duration of the project. We planned our work and we worked our plan,” says CJ Waller, Jr, Cherry Road Removal Division Manager. Cherry mobilized equipment on Wednesday afternoon moving 5 excavators onto the bridge. Working closely with Traffic Control, this portion of SH 288 was closed allowing Cherry to work around the clock to complete the bridge demolition and removal. Cherry spread concrete fines under the bridge to absorb the impact and protect the highway from the initial collapse, which occurred around 1AM Saturday morning. Continuing throughout the night, the majority of the bridge was on the ground by Saturday afternoon. It was then a matter of removing materials off the highway. Utilizing trailer trucks to transport approximately 230 loads, Cherry removed over 5,000 tons of concrete and steel. Efficiency was key in this project in an effort to have the demolition and removal of the bridge completed to allow the highway to reopen by 5AM Monday morning. In fact, Cherry released the highway to A-GC 11 hours ahead of schedule on Sunday evening at 6PM. And with Cherry’s motto of “safety-first”, it’s no surprise that they experienced zero incidents or accidents. Cherry had on-site safety managers for the entire duration of the demolition and removal process.